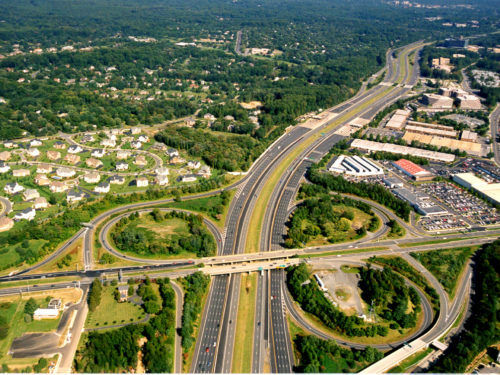 A congested roadway corridor near Dulles International Airport underwent several improvements to increase capacity and maximize safety. 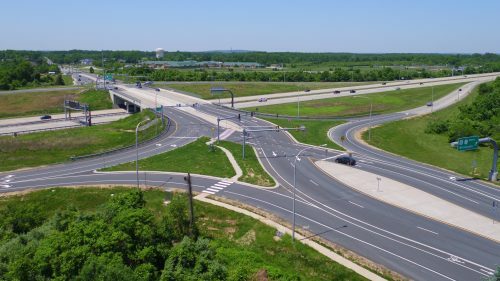 JMT provided a range of planning and engineering design services to the Virginia Department of Transportation (VDOT) for improvements to Route 7 (Leesburg Pike) to increase capacity, safety, and mobility to this congested corridor. This design-build project included widening the roadway from a four- to six-lane divided facility with a 28-foot raised grass median on the western half and 16-foot raised median on the eastern half of the project and adding 10-foot shared use paths on both sides of the roadway to enhance mobility for cyclists and pedestrians. 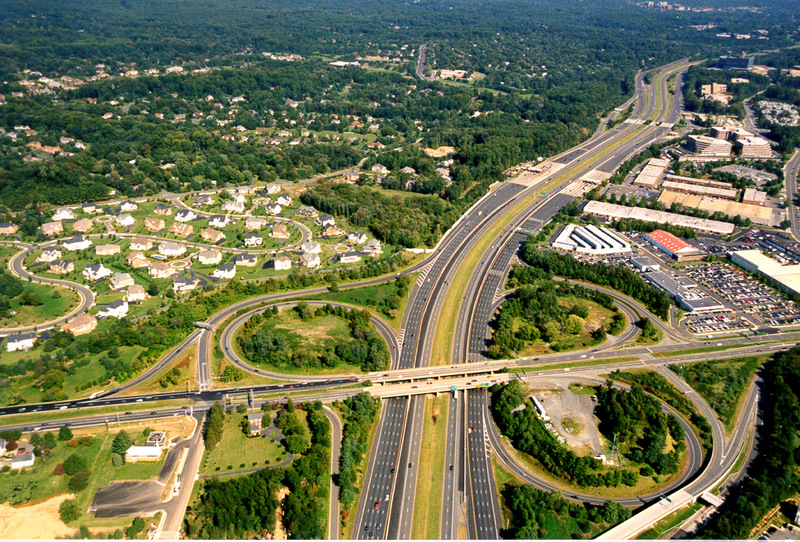 This multi-phase project first widened the roadway between Rolling Holly Drive in Loudoun County and Reston Drive and completed a new, wider bridge deck spanning the Dulles Toll and Access Roads, then in a subsequent phase widened Route 7 between Reston Avenue and Jarrett Valley Drive, just north of the Dulles Toll Road. JMT designed roadway improvements for more than 25 intersections, including adding turn lanes, medians, islands, signalization, and pedestrian and bicycle facilities. 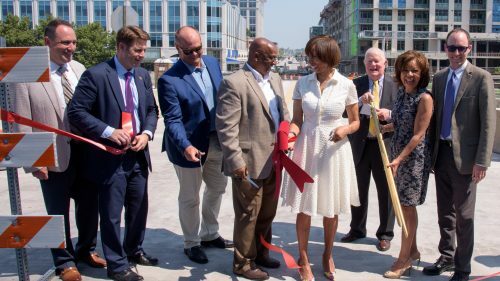 Our efforts focused on feasible alternatives to address uncontrolled ingress and egress, pedestrian and bicycle circulation patterns, environmental impacts, and the historic character of adjacent historic sites. JMT initially developed a traffic impact study for the Phase I improvements with specific emphasis on the Route 193 (Georgetown Pike) intersection. 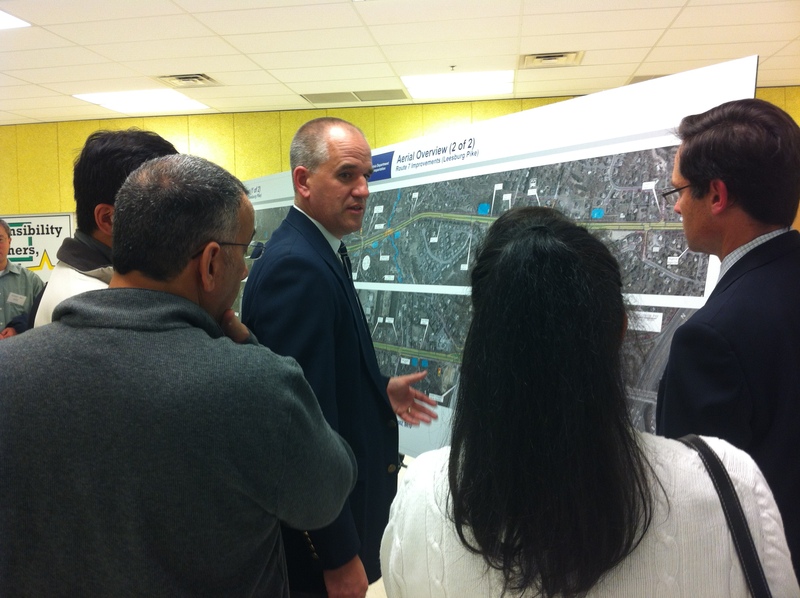 The study analyzed impacts of several alternatives to dual left-turn lanes leading from Route 7 to Route 193, including an elongated single left-turn lane and a combination of left-turn and U-turn at separate intersection alternatives. 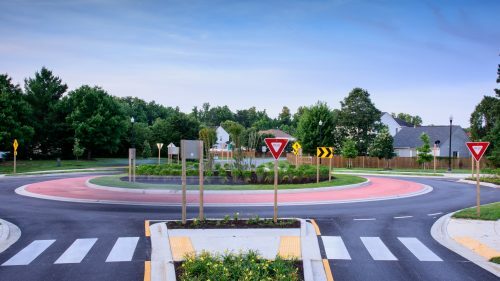 Design alternatives were developed at major intersections to determine the most feasible and prudent options to improve traffic flow while maintaining pedestrian and bicycle safety. The SYNCHRO/SimTraffic software package was utilized to develop a coordinated system to maximize traffic flow volumes and decrease delay times along the corridor. JMT prepared signal warrant studies for three intersections resulting in three new signal designs. Pedestrian and bicycle circulation through all roadway intersections was analyzed and optimized for safety. The rolling terrain, proximity of residential and commercial facilities, existing bifurcation of the roadway, and the inadequacy of the westbound lanes relative to design speed challenged design efforts. There were three proposed bridge structures: one for the partial interchange at Baron Cameron and two new bridge structures at the Difficult Run crossing where the roadway alignment was shifted to the south to allow construction of the proposed Route 7 EB bridge in the clear to allow for all four lanes of Route 7 to be shifted to the new structure during the maintenance of traffic. The shifted alignment accommodated a five-foot raise in vertical profile to pass the design year storm to prevent routine flooding events that occur today. As a result, approximately 1,750 LF of Colvin Run was relocated with natural stream channel design. 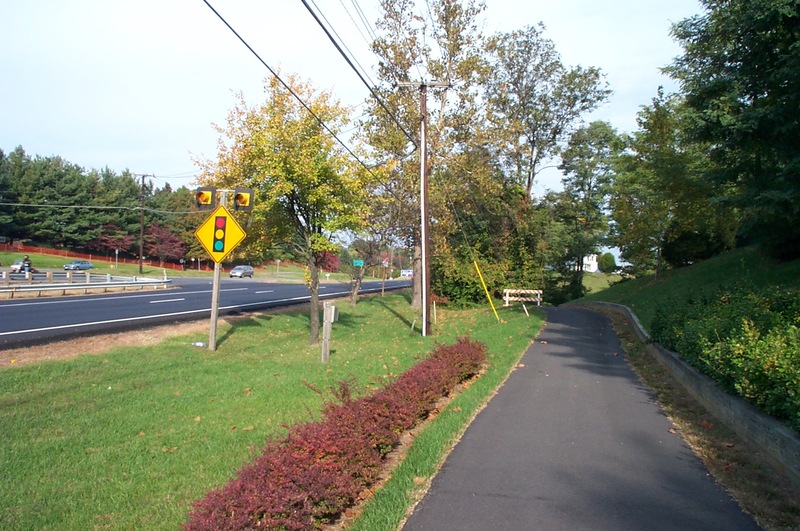 Landscape enhancements create a common theme for the corridor while carefully maintaining safe sight lines for vehicles, pedestrians, and bicyclists. Street trees provide a traffic calming benefit by reducing the perceived scale of the roadway to the motorists. 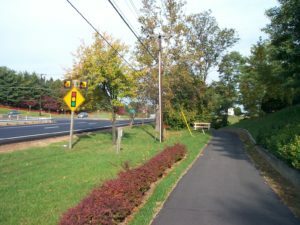 The trees along the multiuse trail also help to more clearly define the pedestrian and bicyclist realm and provide shade for those enjoying the trail during the summer months. JMT assisted VDOT in a robust public outreach program with the local civic associations, elected officials, and impacted landowners. The team conducted a dozen workshops with local stakeholders along the corridor to mitigate their concerns and work through any issues in the design concept prior to proceeding to final design. 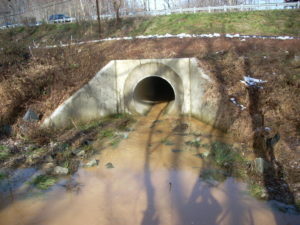 JMT provided subsurface utility engineering (SUE), surveying, mapping of the entire corridor (seven miles), including merging both aerial mapping and field surveys, drainage surveys and plat preparation, wetland surveys, drainage surveys, and bridge situation plan for this project involving complete design and right-of-way.